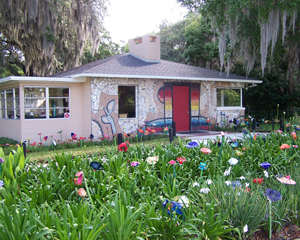 Since 2002, the Casselberry Art House has been bringing people of all ages together for unique art experiences and cultural enrichment programs. This 2500 square foot facility offers community space for art classes, art exhibitions, educational programs, workshops, artist lectures and musical performances for all ages. Nestled in a quiet, park-like setting on Lake Concord, the Casselberry Art House continues to provide a wonderful opportunity for residents, Central Florida businesses and other organizations to enjoy and appreciate art. We welcome corporate as well as private sponsors to share in our efforts to present cultural enrichment to all members of our community. Classes in watercolor, oil painting, drawing, ceramics, and pastels are held throughout the year. Register here for art classes and programs. For more information about classes or programs, please call Jason Costa at (407) 262-7700, Ext. 1122.